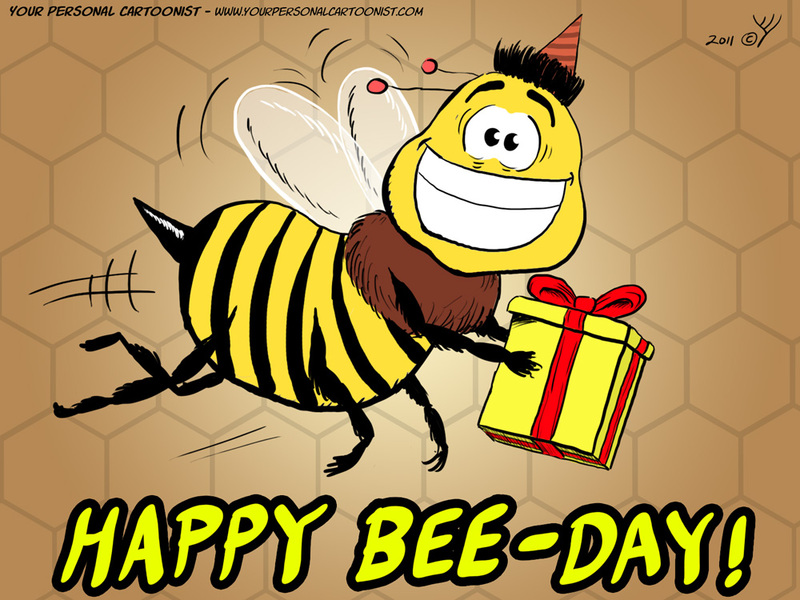 A cartoon of a birthday bee wearing a party hat and holding a wrapped present. This cartoon was used in the “Happy B’Day” iPhone application, which allows its users to send illustrated birthday greeting cards to each other and post them on their Facebook walls. Like this clip art? You can license it for for whatever purpose you wish, be it personal or commercial, for affordable rates! Click here for more information.